The new contracts page contains a list of your smart contracts by project. 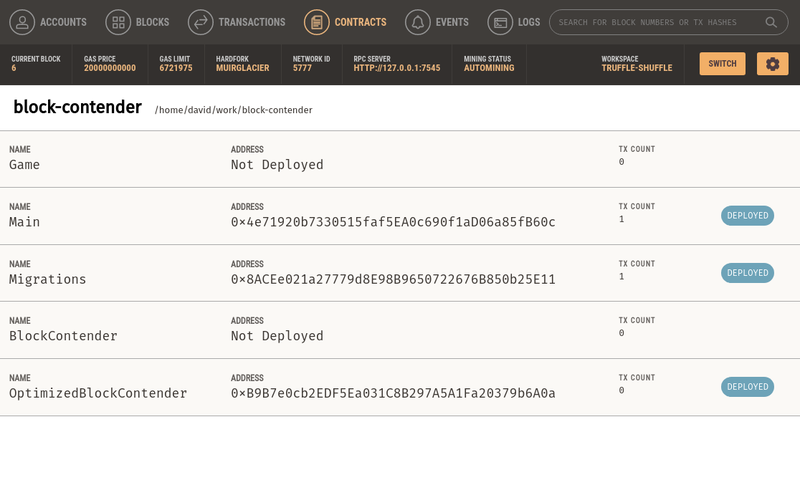 At a glance we can see the contract's name, address, transaction count, and deployment status. 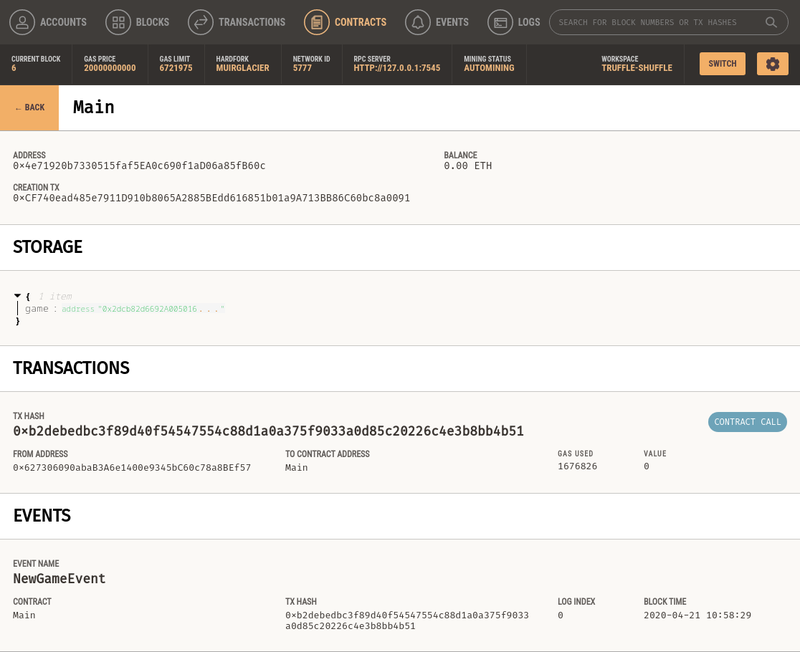 Clicking one of the contracts will show more details about that contract including its creation transaction, storage (state), transactions, and events.